Olly the Oyster is ready for an adventure. So when Mr. Oyster tells him about the wonders of the Chesapeake Bay, he sets off to see them. Following along with Olly, kids will learn about some wonders that fly, like the Great Blue Heron, a symbol of the Bay; some that shine at night, like the Cape Henry Lighthouse; and even a wonder where you can find fossils of crocodile teeth—the Calvert Cliffs. 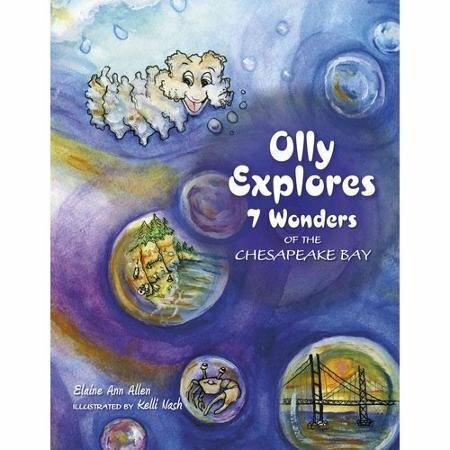 As Olly meets and chats with new friends like fiddler crabs, barnacles, and rockfish, he learns about the creatures, people, and places that form the community of the Chesapeake. Olly the Oyster helps the importance of the Bay and its ecosystem come to life.